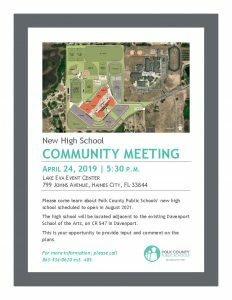 Polk County Public Schools will host a community meeting about our new high school at 5:30 p.m. on April 24 at the Lake Eva Event Center in Haines City, 799 Johns Ave. The new high school will be located on 60 acres on County Road 547, adjacent to Davenport School of the Arts. 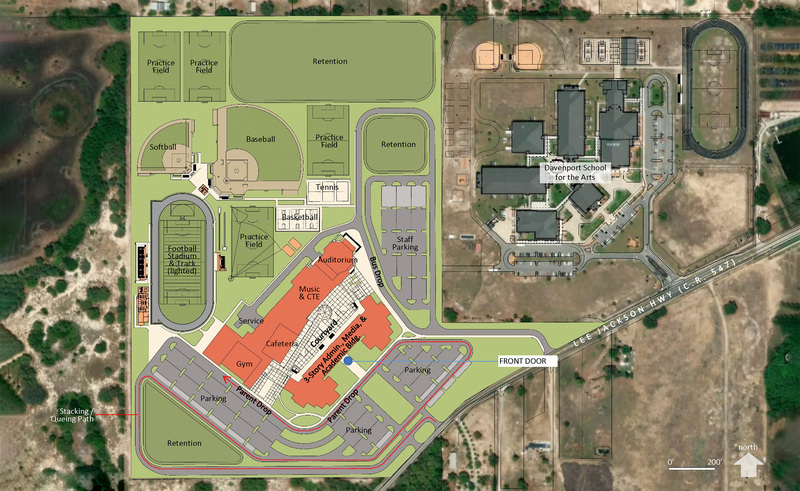 When it opens in August 2021, the school will be able to serve 2,500 students, which will help to address rapid enrollment growth in northeast Polk. 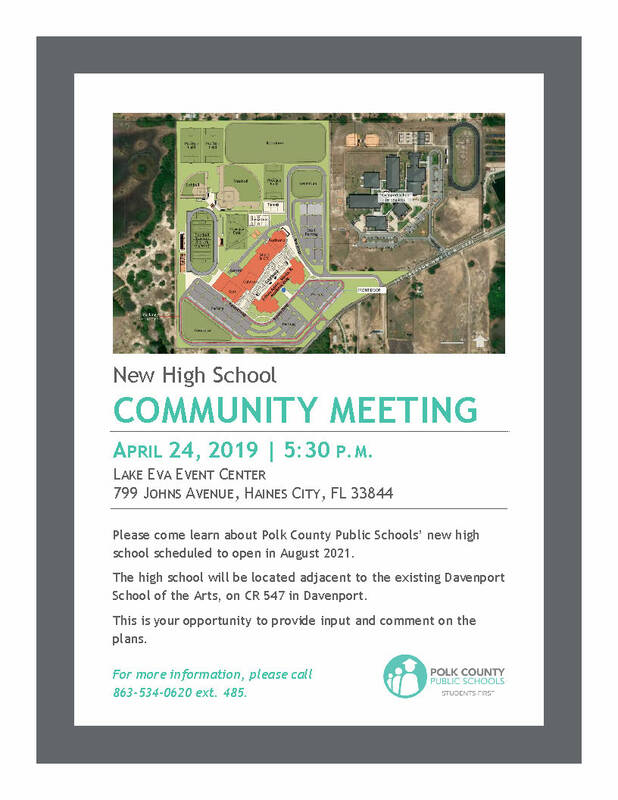 The high school will be built using money raised through the Polk Promise half-cent sales tax that voters renewed in Nov. 2018. For more information about the meeting, call 863-534-0620 ext. 485. Click here to read more about the new high school.